A selection of nice things people have said about my acting, as well as my own take on some of the cool projects I've been fortunate enough to be a part of over the years. Scroll down to see features from NPR and more covering shows I've produced and directed. Pittsburgh City Paper "Kim Parker Green’s icy Nurse Ratched is portended by the acrid smoke filling the theater, preshow. Green lets Ratched’s diabolic soul emerge through her crisp, uniformed persona like the horns growing slowly under her hair as the play evolves." 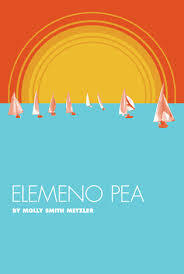 Playwright Molly Smith Metzler says, "After a long stretch of hands off "Elemeno Pea," the New Yorker returned to it with a fresh eye and has been in Pittsburgh with tweaks and changes for the cast, including someone who makes her feel right at home. Michaela is being played by Pittsburgh-based actress Kimberly Parker Green, who played Simone in the first production of the play. "She's an extraordinary actress, so I feel so lucky, but also I think it's interesting that we've both kind of grown up through the play," Ms. Metzler said. "When I first wrote it, I came at it with a Simone perspective, and Kimberly, my friend, played Simone. But now I come at it more mature, with a more Michaela perspective. And so does Kimberly. I think it's interesting that as writer and actress, we've both kind of grown up through the roles." Pittsburgh Owl Scribe (City) "One of the highlights of the production is the skill with Green transitions from an unlikeable plastic princess to a woman deserving of sympathy." Talkin' Broadway (City) - "As the needy Michaela, Kimberly Parker Green gives a perfect performance; she indicates verbally and physically the many shades of Michaela, ultimately the most complex character of the show. " One of my favorite aspects of working in the world of storytelling is the possibility of intersecting with what is happening now. In 2016, Bryan Doerries, Artistic Director of Outside the Wire, brought his company to Pittsburgh for a performance and facilitated conversation dealing with sexual assault, consent, and how we can come together across community and societal guidelines to create change. Stephen Belber is a playwright I have long admired, and, having spent so much f*cking time in acting school, I had seen these scenes from Tape numerous times. But their potency was reinvigorated by the circumstances of our times, and held an additional potency for our audience. To perform this play with the playwright, and to hear the thoughts and experiences of students and members of the greater Pittsburgh community was as sobering as it was exciting, and my hope is that I'm able to produce more experiences like this in the future.